I am thrilled to say that I have signed a contract to publish my first book in the “Routledge Studies in Global Information, Politics, and Society” series edited by Ken Rogerson (Duke University) and Laura Roselle (Elon University). The book is entitled “Disability Rights Advocacy and New Media in Britain and America” and builds on my doctoral research. 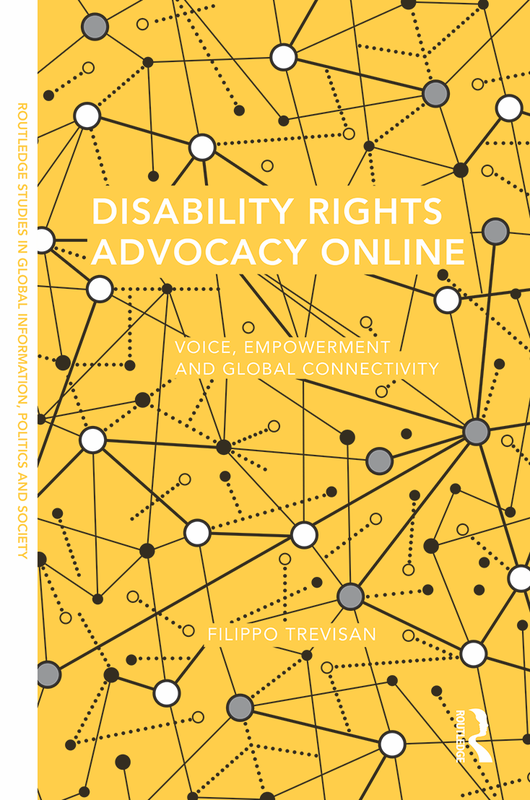 This work, which will be released in 2016, explores whether the Internet can re-configure political participation and policy-making to be more inclusive experiences for users with disabilities, enhancing their stakes in democratic citizenship. This entry was tagged activism, book, disability, e-advocacy, ecology of policy-making, milestones, publications, Routledge, UK, USA. Bookmark the permalink.